In a recent Fly In in Canada several drift reduction agents were tested. Drift-Fiant was NUMBER 1. The best thing is that Drift-Fiant increases the size of the spray droplet in the middle. 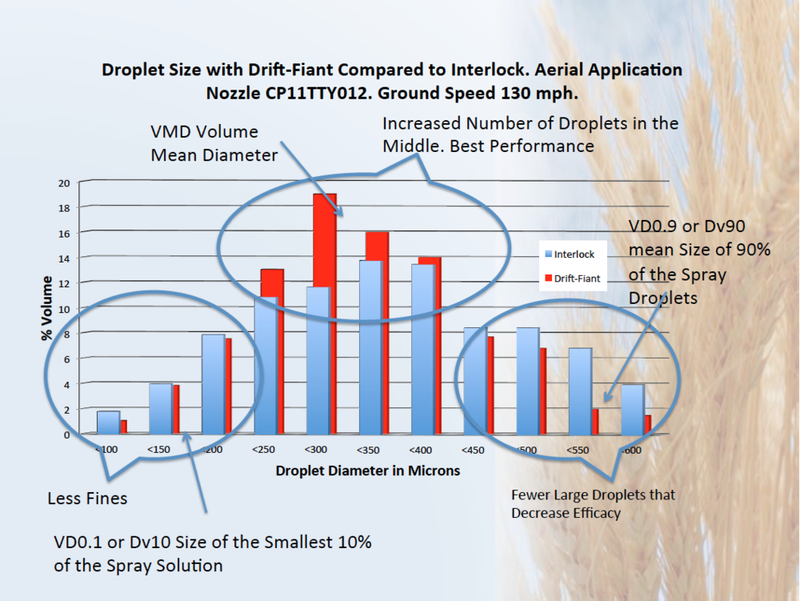 Increasing the number of droplets which give the best efficacy. Drift-Faint reduces fine and reduces giant drop.